Seventeen-year-old Makena knows the thoughts that creep into the mind of a child facing cleft lip and palate surgery. Because of her own life experiences she has established a goal for herself: to reach out to children when they are facing their own life-changing surgery, to calm them with her gentle words and smile and to be able to say she has journeyed the same path they too are on. To tell these children its going to be okay. When Makena was four years old, she was adopted from China. With more than a dozen cleft palate and lip surgeries behind her it is safe to say she knows what this process is about. Makena also has two siblings adopted from Russia and China respectively, and one has required numerous cleft lip and palate surgeries as well. 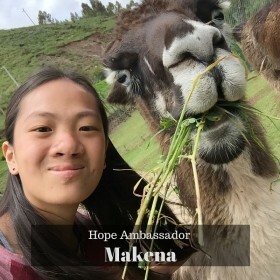 This past January, Makena had the opportunity to travel to Peru with FACES Foundation (Foundation for the Advancement of Cleft Education and Services). FACES, comprised of a team of medical professionals, performs cleft lip and cleft palate surgeries on indigent, medically isolated patients. Makena served as a patient representative, where she reached out to patients and their families pre and post surgery. So, how does a young lady from Southwest Washington end up in scrubs and a surgical mask in Peru you ask? Makena's mom, Barbara, explains, "Makena learned about FACES thru her cleft doctor Dana Smith. Makena goes to Fort Vancouver High School for International Studies. She has been enrolled in the Medical Magnet program for the last 4 years and part of the program is shadowing a doctor for a day. Makena asked her surgeon Dana Smith if she could shadow him for a day at Kaiser and he asked if she would rather come to Peru and shadow a bunch of medical people for a week. Of course she did!" 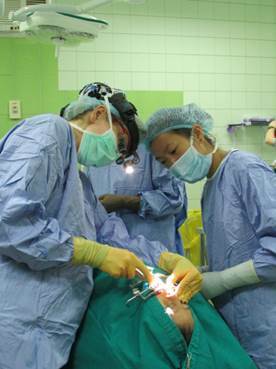 Besides being there for the families before and after surgery Makena also had the opportunity to observe surgeries. Although she found watching the parents concerns for their children as the doctors took them into the operating room, and then the worry of the parents while waiting for the surgery to be over, the most challenging part of her time in Peru, Makena knew the importance of these moments and the comforting connection she needed to make with each family, "I told them (patient and parent) that the doctors who were doing their surgeries were the doctors who did my surgeries. Post op, I told the parents that although it is painful to their children after surgery, it is all worth it in their future." The challenge of pre-surgery evolved into the celebration of post- surgery for Makena and the families. Makena describes the best moments of her work, "When the parents got to see their children after the surgery and they would just tear up with happiness at how beautiful they looked and how much easier it would be on their children to eat, talk, and drink. Seeing the parents love for their children was amazing to see!" After returning from Peru, Makena's resolve to pursue her dream of going on medical missions as a surgeon has grown even stronger. She has found her purpose in life. She has been on the other side of the coin and witnessed first hand how a single surgery can touch a child's life forever. Today, Makena is now more confident than ever that she wants to pursue a profession where she will make lives better for children around the world, "I am eternally grateful for all of the physicians who have gone through the difficult process of fixing my cleft lip and palate. The relief I have felt after each surgery is what I want for other kids, who did not get the opportunity like me, to experience. That is why I want to be just like the doctors and nurses who helped me and pursue an M.D. I want to be able to perform surgeries and be part of these life changing opportunities for children who do not have the resources or opportunities to receive them like I was able to." If you know of an amazing young person who is changing the world like Makena, let us know! 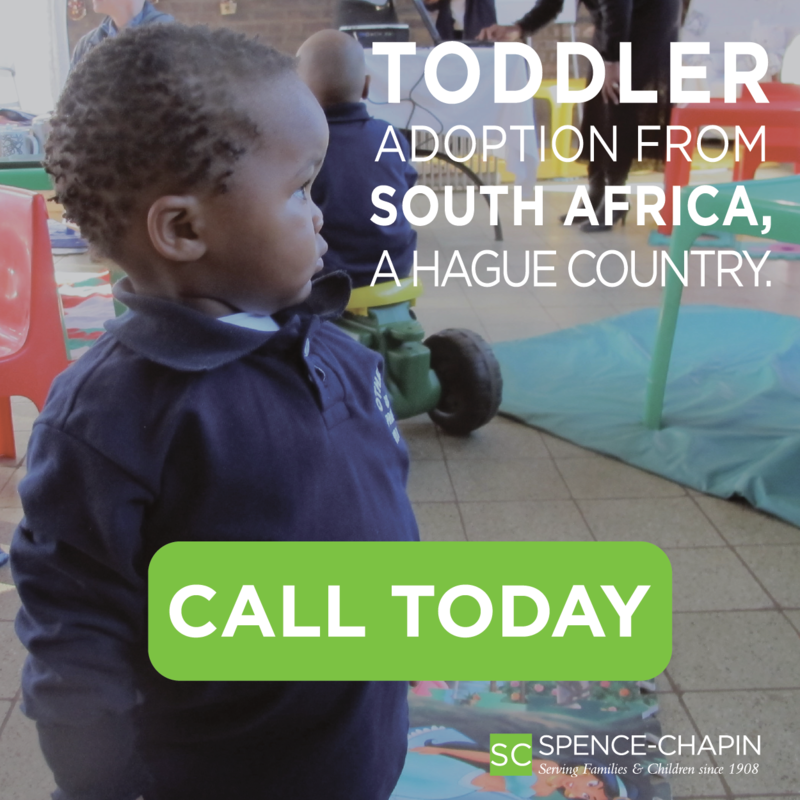 We may feature him/her as a RainbowKids Hope Ambassador! Click here if you are interested in a volunteer opportunity with FACES Foundation in Peru. 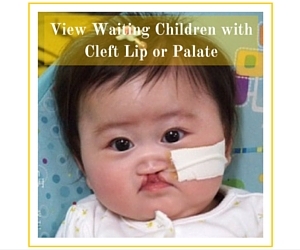 To view waiting children with a cleft lip or palate available for adoption click on the image below.